Unlike the matured markets, where the content creators hold the IP (intellectual property rights), almost all the content rights especially in the Indian television industry, are owned by the broadcaster. Unlike the matured markets, where the content creators hold the IP (intellectual property rights), almost all the content rights especially in the Indian television industry, are owned by the broadcaster. The broadcaster commissions a show to a content maker for a fee and holds the entire IP. This method of commissioned shows is also followed by the new age OTT companies. From Amazon Prime to Hotstar and Alt Balaji, most of the OTT platforms are following the commissioning model. This model of commissioning content is typically an emerging market phenomena. 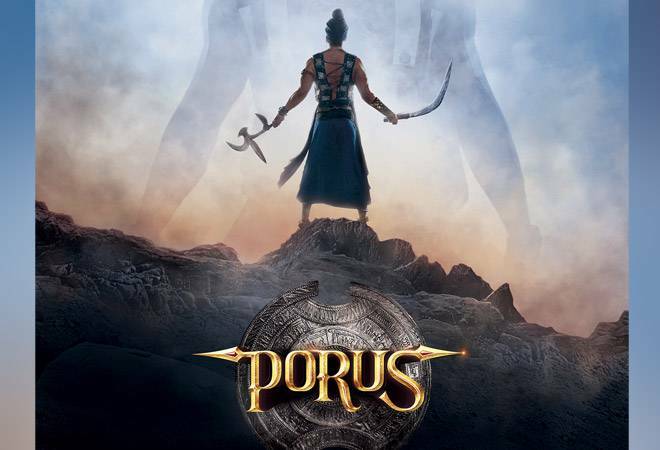 However, Swastik Productions, makers of TV shows such as Mahabharat and Suryaputra Karn, for their upcoming historical drama, Porus, known to be television's most expensive show (supposedly a Rs 500 crore project, which will debut on Sony Entertainment Television) ever, has decided to retain the IP of this historical drama. 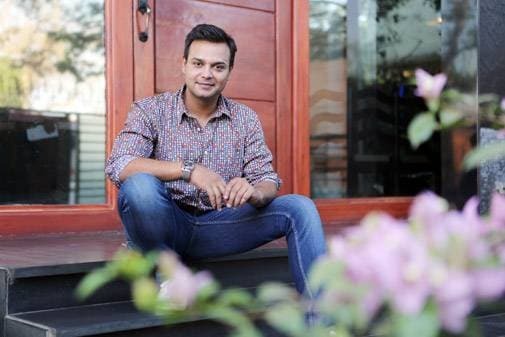 In a conversation with Ajita Shashidhar, Siddharth Kumar Tewary, Founder, One Life Studios and Sawstik Productions, talks about how IP ownership will help him to take his business to the next level. BT: Can you tell us about the IP model? How different is it from the current model? Tewary: Internationally, you have an anchor broadcaster, and if I have a concept, I go to the broadcaster, who pays partly for the cost of production. The broadcaster keeps a part of the rights. So if the broadcaster is in UK, he keeps the UK rights, the other rights can be monetised by the content maker. That's how the global eco-system works. In India it's the commissioning model where the broadcaster retains the complete IPR. That has led to the kind of content we have on the screen because the accountability with the creator is there, but it is not very deep. You are not creating content for great shelf life. It is time that the content creators own the IP. Remember, the days of Doordorshan content in the eighties? We still talk about them, and that is because the people who made the content owned the IP. I believe that when people own the content they create, their accountability becomes higher. They want to monetise it in different streams, so they want to create something which has a shelf life. My thought was to create a much bigger product than what one can solely commission. I rather invest in it too so that we can make something which is much bigger. Sony can monetise on their platform and rest of the IP is 100 per cent with me. I can lend it to any platform in India and internationally, in any language, anywhere in the world and that's how we will recover our money. It will be a long run, not something which will be profitable to us at one go. How did the broadcaster, in this case, Sony, react to the concept of the IP being retained by you, the content creator? Tewary: The market dynamics are changing and N.P. Sir (N.P. Singh, CEO, Sony Pictures Network) is a great leader. He understands that business dynamics are changing, he agreed with me. I had a very interesting meeting with him where I convinced him that it's not just about the IP, but creating great content. It took me time to make people understand the importance of IP. Now competition is very high, everybody is on the edge. It's more about what you are creating rather than how much you are creating. Now viewers have matured, they want something new. This is the right time to get started. But I believe this is the first step not the last. Does the broadcaster not owning the IP make better economic sense for the broadcaster? Tewary: Economically, it benefits the broadcasters, as their risk factor comes down. Their content cost comes down and they get more accountability and investment from the producer and creator, who is also interested in recovering the money through other platforms and to recover money from other platforms, one needs to work on the primary platform. So, it's not a vendor relationship, but a partnership. I believe it's time to partner to create good content, than being mere vendors or suppliers. How do you plan to monetise the IP? Tewary: Sony has the right for broadcasting the show on their channel or on their footprint. Whatever revenue they make is theirs. They have paid a percentage of the total cost of production. They get the rights for three years, a certain number of repeats which they can monetise on their channel. The rest, be it digital in India or international, in regional TV channels or language channels abroad, syndication etc is completely our income. Within three hours of broadcast on Sony, the product can be on a digital platform. Sony doesn't have the right to put it on Sony Liv unless they buy the rights. I sell digital rights separately, I sell mobile separately. We were at MIPCOM recently to promote Porus in a big way. We have already sold it to a Thai broadcaster and we are in talks with other countries. In India, we are just about to close our digital deal. Apart from selling the content rights what are the other monetisation avenues you would be looking at? Tewary: Apart from selling rights, we will have to tailor make the content as per the needs of different countries. For instance, our 260-episode, one-year format doesn't really work in the UK and US markets. For that market, we will have to do an edited version. Since we own the IP, we can make shorter edits, a season's format out of it. We will also explore merchandising opportunities. It's a first step, and a thing that is done for the first time has learning for everyone. What have been the learning so far? Tewary: The viewer comes first when you are making content because you know if it doesn't work, you won't be able to cover your costs. You become partners with the people you create. Instead of having a different equation, you become accountable for what you have created and you will only do things you believe in. Most importantly, you put your money where your mouth is. This is the best way of working for content creators and that's exactly why the world does it. With Mahabharata we had a syndication revenue deal with Star India, for Suryaputra Karan we had a similar deal with Sony. Wherever these shows were sold, in which ever country, in which ever language, we got a percentage of the revenue. Mahabharata was a blockbuster in Indonesia. Do you see IP ownership emerging as a trend? Tewary: It will not be a trend where everybody will do it. It will be different for different people. It all depends on what you get to the table. People who are great storytellers in due course of time will be able to own the IP. How challenging is IP ownership vis-a-vis the commissioning model? Tewary: Monetising the IP is the biggest challenge, as at this point of time we are not too experienced. It's been a great learning.